Will the election outcome increase investments? Development in Russia is hindered by political uncertainty, but the March 4 elections are hardly likely to result in the change needed to encourage foreign investors. According to Russian officials, the only thing standing between Russia fulfilling its potential as a destination for foreign investment is the March 4 presidential elections, but analysts take a different view of the situation. After the elections, Russia will be flooded with investment, said Kirill Dmitriev, CEO of the Russian Direct Investment Fund, in an interview with RT TV. “Russia is one of the few markets that guarantee growth, and investors look for growth opportunities,” he said, pointing out the country’s positive macroeconomic indicators. Russia’s foreign debt-to-GDP ratio is low, and its sovereign wealth fund is large. Economic forecasts for 2012: bad start - good end? Sergei Belyakov, a department head in the Ministry for Economic Development, said that Russia expected the inflow of foreign investments to increase from $51.9 billion in 2011 to $70–75 billion by the end of 2012. “Within two years, we hope to join the top 30 countries in terms of doing business,” Belyakov said. 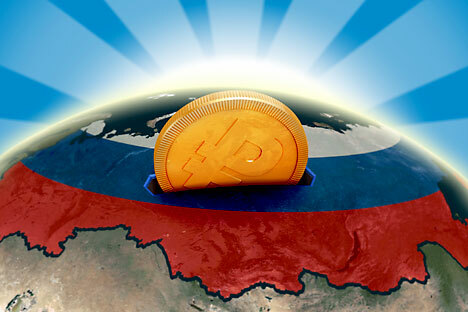 Currently, Russia is ranked 120 out of the 183 countries included in the rating. These forecasts look optimistic considering that 2011 was marked by net capital outflow. The amount of money leaving the country more than doubled over the 2010 numbers to $84.2 billion, and the situation may be the same this year unless the government makes concessions to business. “Capital is flowing out though the economy is growing. That is not right,” said FBK expert Igor Nikolayev. He believes that the political situation is, indeed, a liability, but one that is unlikely to change after the election. “The government has managed to assume excessive obligations during the crisis period, which is forcing and will continue to force taxes up,” Nikolayev added. Konstantin Styrin of the Higher School of Economics agrees: “One can imagine that, after being elected for a third term, Vladimir Putin will be wooing investors but so far the situation is moving in the opposite direction,” Styrin said. “Investments will start flowing only when the red tape and corruption faced by investors are gone. Our stellar macroeconomic indicators fail to impress anyone,” said Alexei Devyatov, chief analyst at investment company Uralsib. While capital inflow may indeed increase through 2012, many experts believe this capital could turn out to be speculative. “If the moves to resolve the eurozone situation are vigorous, causing a surge of optimism among investors, that wave of optimism may engender a local rally and spread to some developing markets,” said Styrin, but a real increase in investment will only occur when economic and political uncertainties should be removed. To attract big money, the government must make the country more attractive for investment. Devyatov noted that one of the major barriers to investment is Russia’s crumbling infrastructure.